The impact that even a few inches of dense, heavy snow can have on a business is remarkable. And when the snow does start falling faster than expected, it’s important to have a plow service that you can rely on 100 percent. At Shamrock, we may be known best for our paving and asphalt services, but we’re also proud to be considered one of the most reliable commercial plow companies in the greater Rochester area. If a snow-related halt in operations is something you’re not willing to risk, Shamrock offers affordable rates, modern equipment and fast, responsive commercial plowing services. Having the assurance that your lot is ready to be cleared in a moment’s notice is something no business owner should struggle with. 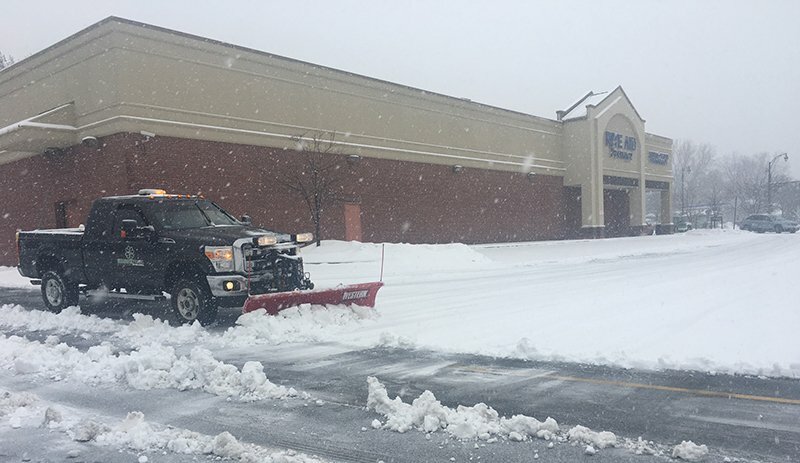 When you’re looking for a no-frills independent team of professionals who know the lay of the land better than anyone, call Shamrock in Rochester NY for parking lot snow removal and plowing services you can depend on. We can be reached by phone at our Rochester office by calling 585-417-5722, or write to us online using our website’s simple and secure contact page.